The big new in the last couple of days is the takeover by NCL of Regent Seven Seas and Oceania. Well, actually, I think NCL are buying the company that owns both of those lines, Prestige Cruises. And it gets even more complicated than that: the previous majority shareholder in Prestige Cruises was a private investment company called Apollo Management; and they are also significant shareholders in NCL. So there’s a certain amount of swings and roundabouts going on. Both of these lines are at the upper end of the market – Oceania probably invented a new niche of ‘Super Premium’ while Regent Seven Seas are definitely a luxury line. I aspire to cruising with either of them…. NCL have said that the Prestige Cruises brands will continue to be run separately. Their current CEO, Frank del Rio, is described as one of the cruise industry giants – he was previously a senior manager in Renaissance Cruises, builder of the R ships, and then was a co-founder of Oceania. That company started by leasing several of the R ships which had been languishing for a while after Renaissance went bankrupt in the aftermath of 9/11. Any, del Rio is staying at least until 2015, and NCL hope he will stay on longer. I’ve been lurking on various forums for Oceania and Regent Cruises passengers/fans, and joy is not unalloyed there. There is worry about the steps that it is presumed NCL will take to recoup its investment (a bit over $3 billion) in Prestige Cruises. It’s far too soon to know anything, of course, but the doom-sayers were talking about the possibility of various dreadful things: perhaps a curtailment of loyalty benefits (both these lines have extremely loyal passengers and a large proportion of them qualify for the top loyalty tier), or price increases – NCL is regarded by some as especially prone to nickel&diming passengers once they’re on board. Others just worry about a dilution of the ambience on board Regent and Oceania ships – waterslides, for example (an NCL staple), are conspicuous by their complete absence from them. For my part I think that in the long term there will be changes – NCL will need to show its investors that the deal made sense – but I also think the changes will be a long time coming. The last thing NCL want to do is frighten away those extremely loyal repeat customers. 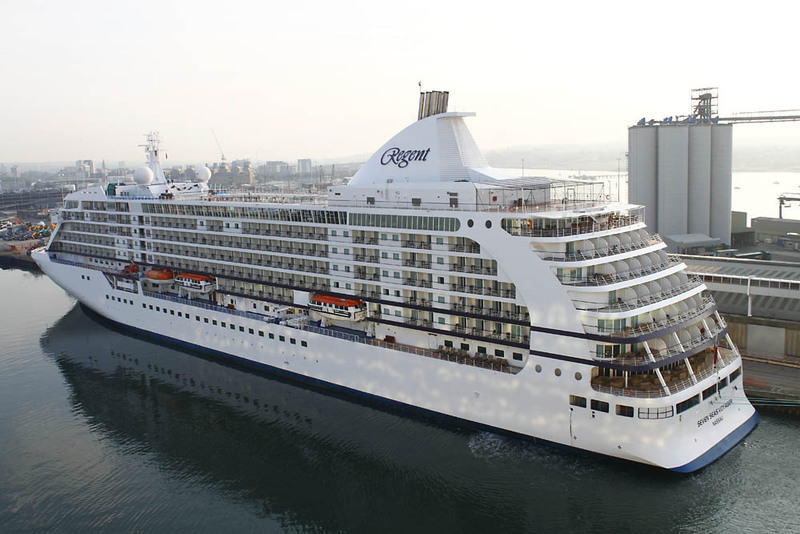 The other thing that interested me was the news that Celebrity are selling their ship Celebrity Century to a chinese travel agent/tour operator. This is probably a good answer to the problem that a number of the lines are now facing: what to do with older tonnage that no longer meets the requirements of the mainstream lines? They don’t want to sell these older ships to potential competitors. In the past the preferred solution has been to transfer the ships to subsidiary companies, e.g. two older Celebrity ships were sold to Pullmantur, a Spanish line, Carnival sold at least one of their Fantasy class ships to one of their Spanish subsidiaries, and Celebrity (again) sold two ships to a Royal Caribbean / TUI joint venture for the German market. But those avenues have been exhausted, I think – as a result of the recession the cruise market is probably shrinking in Spain and France, while in Germany both TUI Cruises and Aida have been building new ships – they’re not interested in hand-me-downs any more. So selling a ship into a new market, and then possibly setting up a joint venture with the new owner makes excellent sense. Celebrity Century was the lead ship of three in the Century class, and alone of the three received a significant enhancement some few years ago which cost about $50m. For the last few years she’s been marketed by Celebrity almost as a boutique ship, but I always felt that conflicted with the positioning of Azamara Cruise Club (like Celebrity, a Royal Caribbean subsidiary), so now she’s going. She certainly had her fans, and I think there will be some sadness at her departure.